After no major fight cards the previous week, the UFC returned with a Fight Night card in Moncton, Canada, where Anthony Smith cemented himself among the elite in the light heavyweight division with a third-round submission victory over Volkan Oezdemir. Plenty of news surfaced as well, from the first “trade” in MMA history, to the man who helped put the sport cause one of the all time greats want to leave. Here are the highs and lows in the week of MMA. History is made. 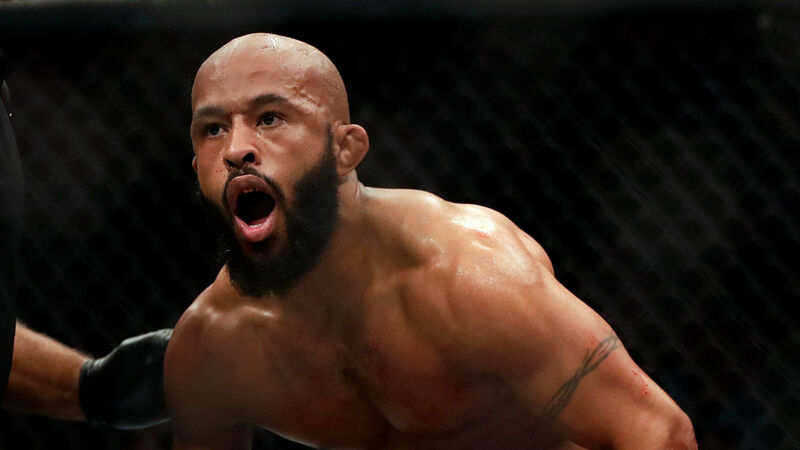 On Saturday, the UFC sent former flyweight titleholder Demetrious Johnson to ONE Championship for welterweight champion Ben Askren in the first formal transaction in MMA history. Johnson signed a new deal with the Asian organization, while Askren is in the process of securing a new deal. This is a unique deal because it involves two high-profile fighters still at the top of their games, but also because both need a move badly. Askren mopped through the competition in ONE to the point that he retired, and Johnson wanted out of the MMA leader in the worst possible way because he just wanted to compete and not have to worry about selling a fight in the process. Now, Johnson goes to a place where he feels he will be appreciated more for his world-class skills, and Askren finally gets to test himself among the elite in the sport. Anthony Smith makes a definitive statement. Heading into his second straight main event tilt, the question around Smith was whether he could beat a legit contender after blasting through legends Rashad Evans and Mauricio “Shogun” Rua in a little over two minutes in back-to-back affairs. It took longer than most expected, but Smith got it done in submitting the last title challenger at 205 pounds in the third round. Since making the trek up from middleweight, Smith has won all three contests via stoppage and has now added a top-three contender to the list. At this point, it’s hard to deny Smith a championship opportunity. The division is thin and in desperate need of a new contender. Smith knows how to sell a fight and back it up in the process. An opportunity against the winner of the Jon Jones-Alexander Gustaffsson clash at UFC 232 awaits. He should stay ready just in case one of them bows out for one reason or another. End of a contender? Volkan Oezdemir had a lot riding on Saturday night’s tilt against Smith. He was coming off a second-round loss to light heavyweight champion Daniel Cormier at UFC 220 and needed a bounce-back win to get himself back on track. The UFC did the Swiss no favors, pitting him with the hottest guy in the division. Oezdemir had early success in utilizing his striking and being able to get Smith down to the mat. But the 29-year-old’s gas tank let him down and succumbed to a third-round submission. Oezdemir’s now lost back-to-back fights. It sends him farther away in a division that’s top heavy and lacks contenders. While this isn’t the end of the road for Oezdemir, aspirations for a title shot in the near future were dashed away. Dana White did a lot of wrong to Demetrious Johnson. The UFC president has made his fair share of stars. Look at what he did for the careers of Chuck Liddell, Georges St-Pierre, Ronda Rousey and Conor McGregor. He marketed them correctly and turned them into the biggest stars, and in turn the UFC sold for over $4 billion to Endeavor in 2016. But what should have been one of White’s easiest jobs as a promoter turned into perhaps one of his greatest failures. Marketing Johnson should’ve been like shooting fish in a barrel. Here you had a guy who was on his way to making 11 consecutive title defenses of the flyweight belt with seven of those victories coming by stoppage. Johnson was regarded by many MMA pundits as the greatest of all time. Yet, White was always reluctant to give Johnson proper credit for his accomplishments nor put Johnson on ESPN or other major sports channels or mainstream publications to help sell his upcoming fights. Johnson isn’t a trash-talker and never will be. He prefers to let his actions inside the cage do the talking for him. White’s always wanted his fighters to sell the fights with their mouths and then he would take care of the rest. It’s hard to blame Johnson for not being happy when the man who signs his paychecks and is supposed to look out for his fighters to make sure all parties make the most money possible never really got behind him. Instead of blaming the fans, White needs to take a look in the mirror and realize if he tried to market Johnson even half as hard as he has with the names mentioned above then “Mighty Mouse” would never have looked to ply his trade across the Atlantic.